Be the first to share your favorite memory, photo or story of M. . This memorial page is dedicated for family, friends and future generations to celebrate the life of their loved one. M. Ross Evans was born Oct. 2, 1925 in his parents’ house in downtown Lititz, Pennsylvania. Ross was the youngest of the four children of George Francis Evans and Anna (Shoemaker) Evans. Marie, Robert (he died as an infant before Ross was born), and Anne (Evans) Furst were the three preceding siblings. As a young boy, Ross enjoyed playing outside with his friends and grew to like baseball, tennis and basketball. His oldest memories were of living as a child through The Great Depression. His Dad worked as often as he could (school custodian, fire house custodian, selling Christmas Trees were some of the jobs). Ross enjoyed his dad’s company when he was available and has fond memories of fishing and hunting pheasants with him. Though money was hard to come by, Ross received one “nice“ Christmas gift each year. His favorite was an erector set. His jobs as a youth included newspaper boy and picking strawberries to be paid a nickel per quart. When he was around 10 years old, Ross expressed an interest in learning to play an instrument. His Dad said they cost too much. One day, Ross came home to surprisingly see a saxophone for him to play. Ross grew to excel as a saxophone player and made the Regionals and State Bands during High School. He also played baseball (shortstop), tennis and basketball (the center) for Lititz School. During his high school years, he earned money by being paid to play sax with an adult Dance Band. 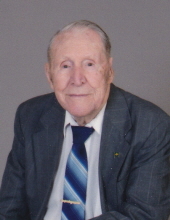 He graduated Lititz High School in 1943. Shortly after graduating from Lititz in 1943, Ross joined the U.S. Navy. He told the story many times of how he did not hear his name called for a duty. The officer explained that he would not tolerate these actions and issued some extra duties as punishment. Ross explained that he didn’t use his first name but was told he would answer to that name throughout Boot Camp. Upon graduating on Jan. 22, 1944, Ross vowed that he would never respond to or acknowledge that first name again (it begins with an “M “ ). He then went to Washington D.C. and graduated from the Navy School of Music. He was then sent to San Diego and briefly trained for his Navy stint in the Pacific. While in the Pacific, his primary role as Lead Saxophone player in the Navy Dance Band of each ship to which he was transferred. The Dance Band would provide dinner music for the other sailors each day. His Dance Band would also be used for special occasions. Included were visits from high ranking officers such as the admirals. A highlight in his career was performing for a visit from General Douglas MacArthur. His fondest memory of Navy Band performances occurred on Aug. 8, 1945 while on the carrier “Philippine Sea “. On that day, his band performed as part of the U.S.O. show for the sailors on the ship. Jackie Cooper, Dennis Day, Jane Russell, Billy De Wolfe and Peggy Ryan were the headliners of this show. In particular, Ross recalled that Peggy Ryan complimented his Tiger Eye ring during their backstage conversation. Ross had received the ring from his mother when he left home for the Navy. He wore it to the day he died. His battle station role was to hand ammunition to the gunner. In addition to the daily danger of hitting a mine or searching for enemy airplanes or submarines, he participated in the Battle of Iwo Jima. His ship was supporting the attack by firing at the Japanese airplanes which were trying to defend their island. He remembered doing his best to keep the gunner loaded with ammunition. He also recalled seeing the lost and injured lives of Americans laying along the shore. His ships also participated in the occupation of Japan after WWII ended. While in Japan, he developed the beginning of his Japan stamp collection. On one of his visits to the shores of Japan, he was amazed at the devastated appearance of Nagasaki even though this was one year after the second and final dropping of the atomic bomb on Japanese cities. He finished his U.S. Navy career stationed in San Diego, California. On March 23, 1950, he was honorably discharged with the rank of Musician Petty Officer 1st Class. Upon discharge, his mother rode a train to San Diego to meet him. Together, they rode the train back to Lancaster, PA and then the following short car ride to their home in Lititz. Ross then went to Lebanon Valley College to study music education. While performing at one of his dance jobs, he noticed a pretty girl in the audience and recognized her as a younger girl who lived three blocks from his parents’ house in Lititz. He thought at that moment that this was the woman he would marry. Nelda Brubaker was attending nearby Millersville College and was also scheduled to graduate in 1953. Ross and Nelda discussed marriage, but her requirement was that she would graduate college first. Very soon after their graduations in 1953, they were married on June 14, 1953 at the Lititz Moravian Church. The honeymoon was to Niagara Falls. The first job offer Ross received after graduation was in Felton, DE. After interviewing with Art Henry, he accepted the job of Music and Band director of the Felton School District. Nelda found a job as Second Grade teacher at South Dover Elementary School. They started their Delaware lives in the fall of 1953. Nelda did not complete her first year of teaching because their first son (Jeff) was born in April 1954. Steve and David would follow before Nelda returned to teaching after David, the youngest, was going to school while she worked. Ross developed the Felton Music Department, and the Green Devil Band became very well respected. The band won many trophies at parades despite its small size. Caesar Rodney (“The School up the Road “ ) was a main competitor at most parades. Playing for the New York World’s Fair, playing for President Johnson on the Green in Dover, and marching in the Washington D.C. Cherry Blossom parade in the 1960’s were highlights of his Felton career. When Felton decided after 1968 to start playing High School football, Ross decided to switch schools to avoid performing halftime shows. He started work as CR Junior High Music Director in September 1968 and retired in December 1986. The band always finished each year with a field trip to Hershey Park. The Music classes always learned the Star Spangled Banner and looked forward to Fridays when they could bring in records to play during class (if they were good during the week). It was very common for him to bump into former students from either school as he travelled through Kent County and sometimes beyond (such as Disney World). He most times remembered their name and instrument they had played as well as any siblings who had played in the band. His own family followed his musical instincts: all three sons and most grandchildren played instruments in their high school and/or college bands. His middle son, Steve, chose a musical pathway, and his granddaughters Kimberly and Kelli chose to pursue his educational career. In addition to teaching Music and Band, during school years from 1953 to 1986, Ross taught private lessons for extra income. He also was an original member from October 1959 to December 1991 of the Bob Wagner Dance Band. They played all over the Delmarva Peninsula for parties. They performed at Miss Delaware Pageants, Governor Inauguration Balls, weddings, and many high school proms. Community activities Ross and Nelda participated after moving to Delaware in 1953 were Wesley Methodist Church, Dover Stamp Club, Kent Coin Club, and bowling. While bowling, they were on several first place teams. The highest game in Ross’ career was 245. Ross acted as president of the Delaware Music Education Department in 1967. He also was president of the Dover Stamp Club during his career. While at Wesley Methodist Church on the music committee, he started a Brass Choir and Bell Ringers. Ross and Nelda could be seen every Sunday sitting in the same pew until Nelda could no longer go out [in early 2016]. He always made sure that the Hymnal dedicated to their parents was in that pew. Travel was a huge passion for Ross and Nelda. With the three boys, the family took advantage of being teachers with summers off in order to take long time-flexible trips.. In 1970, the family bought a pop-up camper to enjoy and cheapen the overnight stays of the long trips. 1970 (Florida), 1971 (California), 1972 (Yellowstone Park), 1973 (Florida), 1974 (Wisconsin & Michigan), 1975 (Nova Scotia), 1976 (Kentucky), were enjoyable and educational trips. The family also spent a week in Wildwood, New Jersey each year starting in 1965. Each summer finished with a week at Glen Rock, New Jersey near New York City with Nelda’s sister’s family, who included five kids. A day in Palisades Amusement Park was always included in that annual visitation. Ross had always promised Nelda that they would go to Hawaii on their 25th anniversary. 1968 was the first of seven trips to Hawaii. On 9/11/2001 they flew out of Philadelphia that morning on the way to Hawaii. During that flight they were unexpectedly grounded in Kansas City and luckily were able to stay at their nephew’s house until flights became available. Las Vegas and Branson, Missouri were also favorite destinations of their travels in the USA. Through traveling as a part of various tour groups for many years, Ross was able to proudly tell people that he and Nelda had been to “63 countries as well as all 50 U.S. state capitals”. Highlights of their world travels included The Great Wall of China, kissing the Barley Stone, riding camels in Egypt and seeing the Pyramids, seeing the Dead Sea and Jerusalem, Moscow, London, Paris, Tokyo, New Zealand, and many more. Beginning around 1991, Ross and Nelda would leave shortly after Christmas each year to live in Kissimmee, Florida. Each year, for over 20 years, they would stay there until April 1st before returning to Delaware. While in Florida, they bought annual passes to Disney World and would visit the parks over 50 times each year. They also enjoyed Cypress Gardens, the Florida State Fair, Busch Gardens and many concerts. Also, they met and became friends with several great neighbors who returned each year. They also looked forward to seeing the Houston Astros each spring as they did their spring training. They got many autographs after watching practices and games over the years. Ross and Nelda moved to Assisted Living in May 2012 but continued to be very active with daily activities and attending local events. Modern Maturity meals and occasional trips with friends, attending family parties and dinners, playing the Jacks or Better Draw Poker at Dover and Harrington Casinos, Concerts on the Green, parades in Dover, dinners or picnics with organizations such as American Legion, Dover Elks Club, Felton Alumni Association, Caesar Rodney Teachers, Dover Stamp Club, and Kent Coin Club are examples of events they looked forward to each year. They also went on longer trips with Jeff and Margie to Longwood Gardens, visits to their hometown of Lititz (which included Green Dragon, Shady Maple, their parents cemetery, and sitting with Nelda’s sister Wilma), attending the Delaware State Fair on Fireworks night, watching Glen Miller Band concerts at Rehoboth Bandstand and bringing home Dollie’s popcorn. Ross especially enjoyed the annual stay for four nights each September with Jeff in a Wildwood, New Jersey motel. This trip included a Dolphin Watch boat ride plus a bus ride to Atlantic City for a six hour stay. 2018 was a happily memorable year for Ross. His youngest great grandchild (Haven Evans) was born on February 10. He met and held her at the funeral of Margie’s brother (Harry). He attended birthday parties of the local great grandchildren (Landen, Ryleigh, Logan, Cole and Jackson). He attended the Memorial Day Weekend Ceremony at Chesapeake Beach, Maryland where he was introduced to the crowd as a WWII Veteran. The band of six musicians at the ceremony were from the Washington School of Music (the same school he had trained at in 1944). The six talked and posed for photos with him before leaving. He was thrilled to speak with so many spectators who approached him. The next day he was honored again at the gathering at the community park. He enjoyed the entire performance of the DJ (who played music from periods of all wars which involved U.S. soldiers). He especially enjoyed the following performance of the Jazz Band Deanna Bogart Band. The lead singer/saxophone player came down off the stage to play his requested Peggy Lee song while standing and then sitting next to him during that song. Also, another war veteran approached Ross thanking him for his service by handing him a Navy coin and an Iraqi Freedom coin. Ross always watched the Dover Days and the 4th of July parades, and 2018 was no exception. He happily enjoyed the Fireworks as he had throughout his life. He, Nelda, the family, and various friends would always go see a fireworks show, if possible. He even used to light up his own fireworks for the boys and then the grandchildren, on occasion. Ross’s grandsons Matthew and Jon enjoy continuing that tradition. He was able to attend many of the things he and Nelda had shared memories of doing. Memorial Day at the Dover triangle followed by the picnic at the Elks Club, St. Patrick’s Parade, Dover Stamp Club and Kent Coin Club picnics as well as their Christmas Parties, and the Fireman’s Parade. While at the Delaware State Fair, the “Red Head Express” Band played his requested song after his conversation with the fiddler (Alisa). Her new son’s name is Ross. Ross and Jeff really enjoyed this year’s September Wildwood trip. The weather was perfect for the memory drives and the stops at Wildwood, The Boardwalk, at Cape May, and driving through the old campgrounds we had stayed at. He was happy to have done very well with his Casino “free play” offers at Atlantic City Resorts Casino and Harrington Casino in 2018. His last “out of town” trip in 2018 was to Longwood Gardens in December with Jeff and Margie to see the Christmas lights and plants. He was also proud that his driver’s license was renewed and could keep on visiting Nelda, as well as drive around town. He always talked about how much he loved the 2010 Honda van. Each year, Ross enjoyed family gatherings and holidays. He was always thankful that he and Nelda could give generous gifts to their relatives each birthday, anniversary and Christmas. Many of these occasions were shared at their house that they kept but could not live at after May 2012. A joyous atmosphere his grandchildren enjoyed was seeing and playing with the various Christmas decorations and train display around the tree. He felt fortunate that he got to spend either Thanksgiving and/or Christmas with the local sons and spouses, grandchildren and spouses, and great-grandchildren, as well as several other “in-laws”. The Christmas Eve service at Wesley Methodist was also a special memory (an event he and the family had shared for many years). Ross, Jeff and Margie attended the Brookdale Christmas Party which he enjoyed very much. On June 14, 2018, Ross and Nelda celebrated their 65th Wedding Anniversary at Courtland Manor. He reminisced and talked about so many happy memories they had shared together. Ross took good care of Nelda and lived with her from 1953 to July 2016 (even in Memory Care together). In addition to the many trips and events they shared, they enjoyed watching TV together. Jeopardy, Wheel of Fortune and the Lawrence Welk Show were always watched if they were home. He continued to visit her every day (if able) until a couple days after Christmas when he got sick for the last time. Ross and Jeff picked the house together after Christmas for Nelda to be staying at starting January 14, 2019. He said many times after his January 5 hospitalization that he desperately missed her and was getting better in order to see her soon. He gained his heavenly wings, however, on Saturday, February 9, 2019 at the age of 93. In addition to his parents, he was preceded in death by 2 sisters, Marie Evans and Anne (Evans) Furst. He is survived by his wife of 65 years, Nelda (Brubaker) Evans of Dover, DE, sons Jeff Evans and wife Margie of Felton, DE, Steve Evans and wife Sonya of Dover, DE, and David Evans and wife Sylvie of Nashua, NH; grandchildren, Jennifer (Evans) Fawcett and husband Ryan, Kimberly Evans, Jonathan Evans and wife Haley (Jackson), Stephanie (Evans) Sapp and husband Steve, Kelli (Evans) Stubbs and husband L.B., Julie (Matthews) Reilly and husband Josh, Danielle Evans, Matthew Evans and fiancé, Coreylnn Banville; great grandchildren Jack, Griffin, and Ruby Reilly; Landen and Logan Sapp, Ryleigh and Cole Stubbs, Jackson and Haven Evans. Friends may call from 6-8 Thursday evening, February 28, 2019 at Wesley United Methodist Church, 209 S. State Street, Dover, DE 19901. Funeral services will be held 1pm, Friday, March 1, 2019 at Torbert Funeral Chapel South, 1145 E. Lebanon Road (Rt. 10), Dover, where friends may call one hour prior. Interment will be in Sharon Hills Memorial Park, Dover. In lieu of flowers the family suggests contributions to Wesley United Methodist Church, 209 South State Street, Dover, DE, 19901, Felton Alumni Association or a band booster of your choice. To send flowers or a remembrance gift to the family of M. Ross Evans, please visit our Tribute Store. "Email Address" would like to share the life celebration of M. Ross Evans. Click on the "link" to go to share a favorite memory or leave a condolence message for the family.